It’s HERE! ‘The Cabin in the Woods’ Trailer! It’s here! It’s freaky! It is the trailer for The Cabin in the Woods. The poster (above) had me scared enough. The trailer, well, it’s enough to give me bad dreams tonight and keep me far from the woods for a long time! 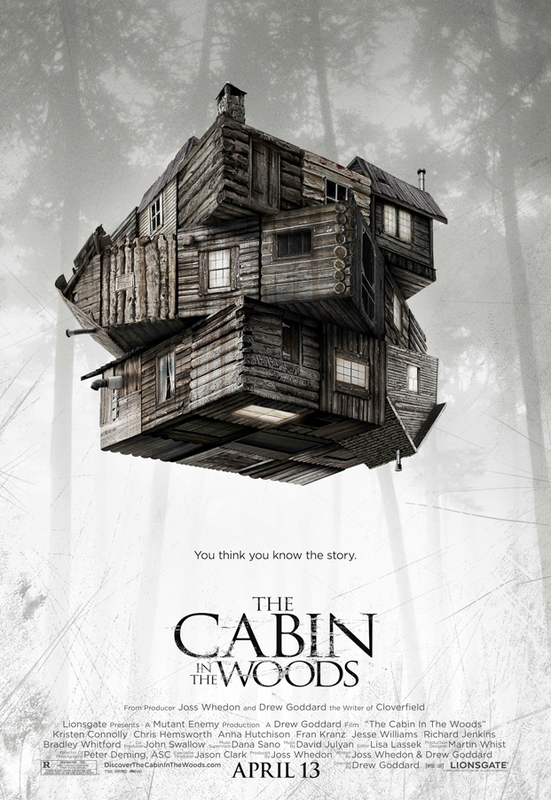 The Cabin in the Woods opens on April 13th. Will you be there?